We, the Doctors and staff of the Newton Animal Clinic, pledge to provide the best medicine and surgery possible. We will serve our clients and patients to the best of our ability, using the latest continuing education and modern technology, while practicing with the highest ethical standards. Newton Animal Clinic has been in business for over 50 years. 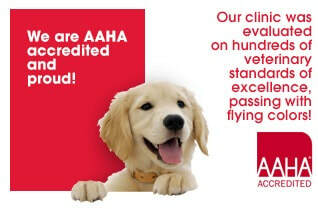 We offer a wide variety of small animal care, and have plenty of diagnostic capabilities. We carry a range of Science Diet and Royal Canin food, as well as many varieties of flea, tick and heartworm prevention products. At Newton Animal Clinic, we pride ourselves in providing quality care as well as quality products that we ourselves would use on our own pets.